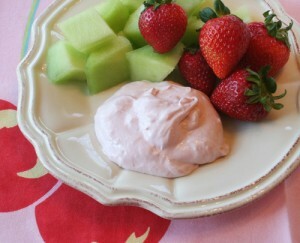 Fruit Flavoured Creamy Yogurt recipe by Rachna at DesiRecipes.com. If you have thick yogurt then its great but sometimes we get watery yogurt. In this case use muslin cloth (white netty cotton cloth used to seperate paneer from milk). Keep yogurt knotted in this cloth for few hours in the fridge till you feel yogurt left is thick. You will see extra water oozing out. In bowl add this yogurt and gently mix sugar. Take glass cups and fill 1/4 glass with jam and remaining yogurt. Serve chilled depends on your taste. It might be too sweet for some and less sweet for others .